B01E - Viewing Profile: Reputation - SixtyGig - The Minecraft server for mature gamers. I would like to open up my build to everyone. I started a modern city just up northeast of the hub. I have since made some nice highrises, buildings, streets, shops and also the odd farm or seven... Now I'd like to invite anyone who wants to make a modern house, highrise, shop, farm, basement, interior, vehicle or otherwise to come and add to the city. There are no strict ruleset, except it must be modern. You can make roads, as long as they make sense, are made from black wool, and follow the size and design of those already there. I picture the town center being where the tall buildings are, and the residential area east of the mall, but maybe it will grow into something different. If you would like to keep a building for yourself, to decorate, please put a sign on the entrance with your name. Everyone can decorate and do interior in the buildings with no signs saying otherwise. I will make a chest area somewhere, where I will put materials for the city. I'll make sure to mark it with a dynmap sign, when it's ready. Everyone can donate materials to the city there also. EDIT: Building materials for the city is at ground level, right under the gold farm in the biggest highrise in the city. The mountain north of town that has a road leading into it, is mine. I have hollowed out a lot of it, and that will be my project. Feel free to visit, though. The Mall I just made is free to be filled with shops of all kinds. You can change the floors, change glass windows to walls and combine multiple shops if you like, but please don't alter the basic structure, the center or the outside. Any villagers placed in the city can not be moved by anyone but the person who placed them, unless you get permission from that person. Existing farms made by me must not be altered, unless you get permission by me. Everyone is free to use them, though. When building, please try to make it non mob spawning. I have tried to keep the whole center of town mob free from mobs by use of halfslabs and "hidden" lighting. This is tricky at times, and sometimes not 100%, but please try to keep mob spawning down when building. So come on up/down/over and let's make the town grow. #40859 A filthy lie about the person above. The text under GerrikP's Posts is actually the key to either eternal life, true happiness or global peace and cooperation, depending on how you apply it. But for people who have not yet reached the right level of enlightenment, it just reads "<Profound statement>". I made a few changes to the hub trainstation. It's an ongoing project, but now the central part is finished. I think I'm the only one connected at the moment, and in being so, I'm pretty much the only user. But now I think it looks a little nicer. I have no desire to build in the nether or the end. But I do like the idea of an end that resets, so I can actually get to see that dragon. The farms in the nether... 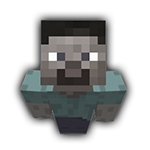 The wither skeleton farm is the only one I use, since I can just drink a potion, and take no damage from blazes. Gold farms can be made in the topside world. And I was hunting for skeletons when it was just a castle too. I agree with Megan, that it's dangerous to make this game too easy, but given enough time, it will be easy(er), even in the the current configuration. We should try not to deliberately make it easier, though. I would vote for a new nether and end, but for the farms. Having to rebuild the farms (and find the fortress) makes for better gameplay imo. Making a small permanent nether and a reset end could make for some interesting builds, and more people would get to try fighting the dragon. The risk that gameplay will suffer makes me vote no to this, though. It turns out a pig stepped on the pressure plate, and when it let go, the cart was sent off to being stuck on whatever line the dial was set to. The pig is now porkchops and the carts have been returned to the system. #39906 Keep the old map? Start fresh? Your votes matter! Lets just get a clean new main map (hopefully with some interesting biomes), and a wilds to live in and loot. #39243 Status of SixtyGig; and Minecraft 1.8. What to do? Wow, that was a lot to read in one go. I love this community, and even more the considerations towards the workload for Ray. I have many many hours (some 1500 hours last count...) invested in my storage chests and my builds, but oh, the promise of virgin lands... I wouldn't mind a world reset bacon, but I would also like this map continued in 1.8. But... I will follow and continue playing no matter what is done. I just pray and hope for a quick decision regarding this matter, as I don't want to build something larger, if we are going for bacon. Or even build redstone that will not work in 1.8. OT: All enchantments require lapis lazuli in 1.8.